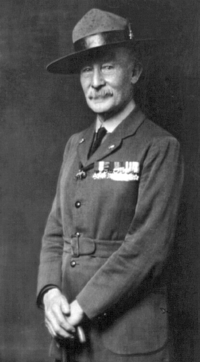 In 1911, Baden-Powell took the first steps in training Scouting’s adult leaders by organizing a series of lectures for scouters. He made great strides in the years that followed, culminating in 1919 with the establishment of the Wood Badge training course. Wood Badge recipients now number more than 100,000 and can be found in all corners of the world. Wood Badge consists of two phases. The first is the practical phase. This consists of two full weekends at camp plus two midweek patrol meetings between the weekends. The second, or application phase, occurs after the weekends and consists of “working your ticket”. In the Application Phase, participants will use the leadership skills that were learned and developed during the Practical Phase. Each scouter will work with a Troop Guide to help them successfully accomplish the goals that they developed within a 6 to 18 month time period.